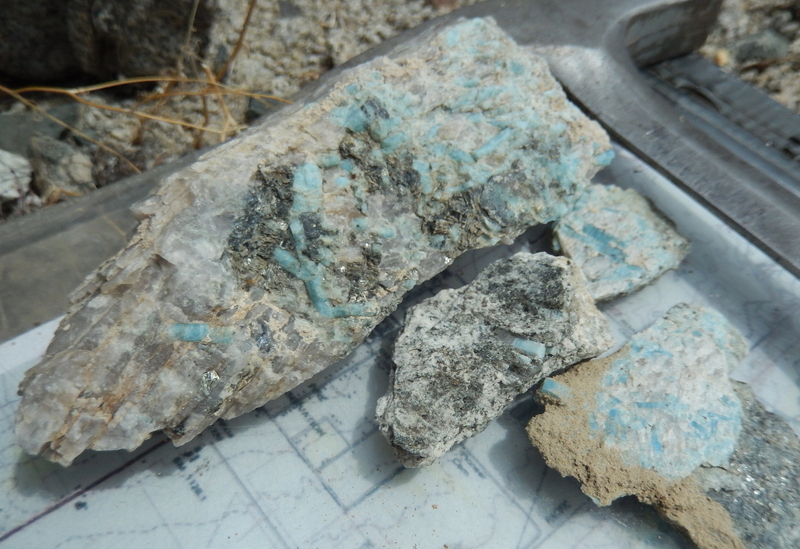 This locality boasts nice beryl crystals and rare amazonite (blue-green feldspar) crystals that are hosted in Mesozoic plutonic rocks. During the Mesozoic and early Cenozoic (roughly 250 to 15 million years ago), this part of California hosted a volcanic arc much like the modern Cascade Range of North California, Oregon, and Washington state. 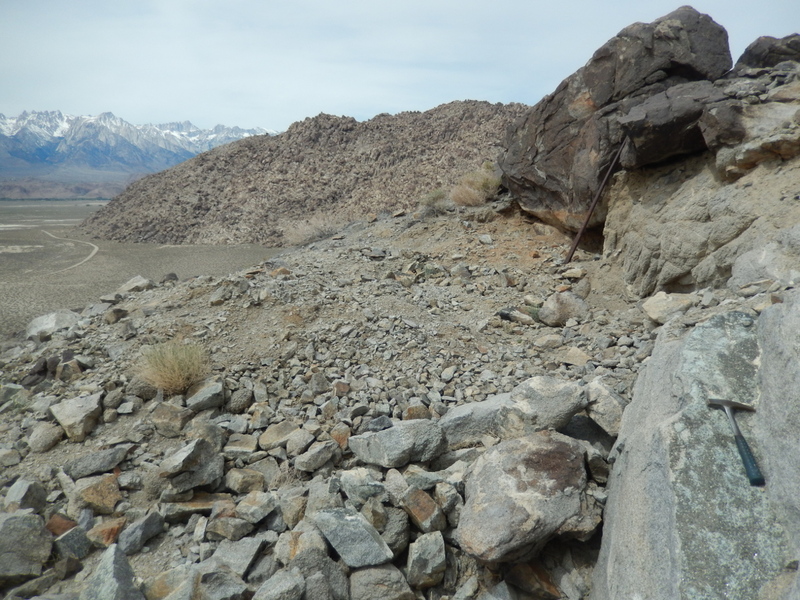 The plutonic rocks exposed at this locality and in the Sierra Nevada represent the deep subsurface portions of that volcanic arc. 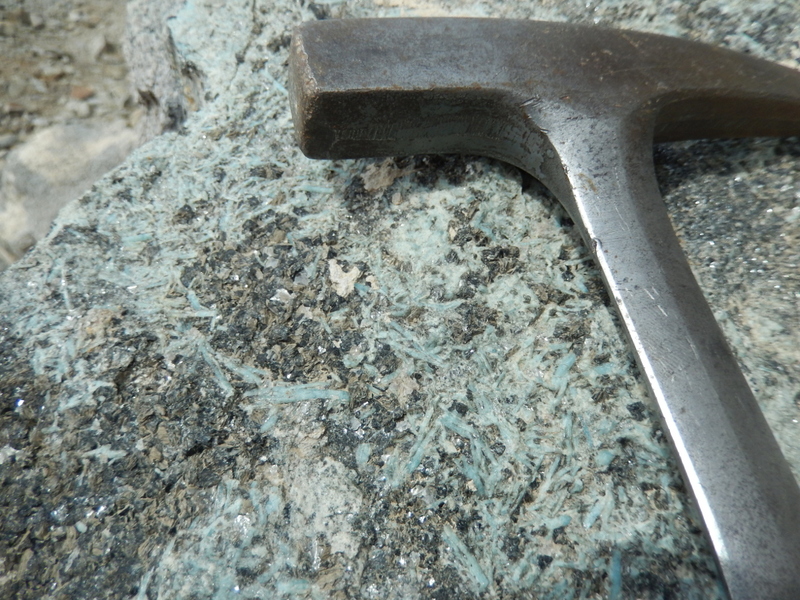 The beryl generally seems to occur both in thin veinlets (<1 cm in width) with biotite and in massive quartz pods. 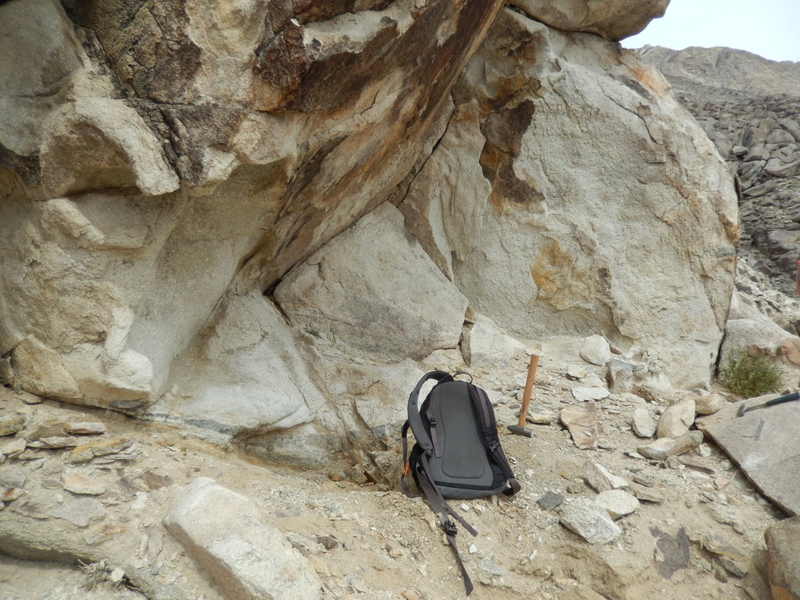 Both of these sets of features appear to have formed after the host diorite body was emplaced (that is, as it was cooling down after forming). It would therefore appear that the beryl formed from residual beryllium-rich fluids that were still floating around after the diorite mass was emplaced in the crust and started to cool. 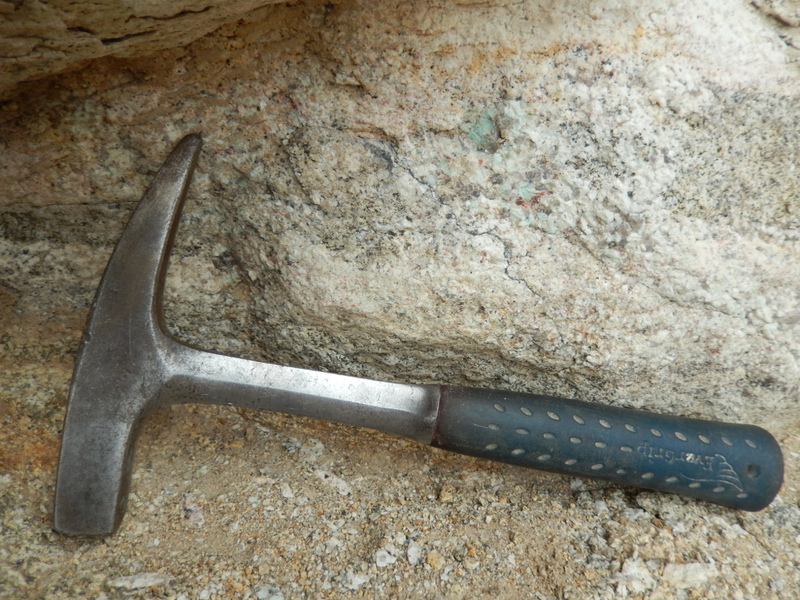 (This is generally how pegmatites form – elements like beryllium, lithium, and boron don't readily go into any common minerals in granitic rocks, so they end up forming awesome minerals that precipitate late from the remaining fluids after the vast majority of the magma has solidified.) The beryl crystals are generally a few millimeters across and can reach several centimeters in length. The first set of coordinates above is for a small prospect pit that was dug into a patch of beryl-bearing diorite. Beryl + biotite veinlets are most common here, but searching the surrounding hillside will turn up beryl with quartz as well. These coordinates are just a starting reference point; be sure to look around! 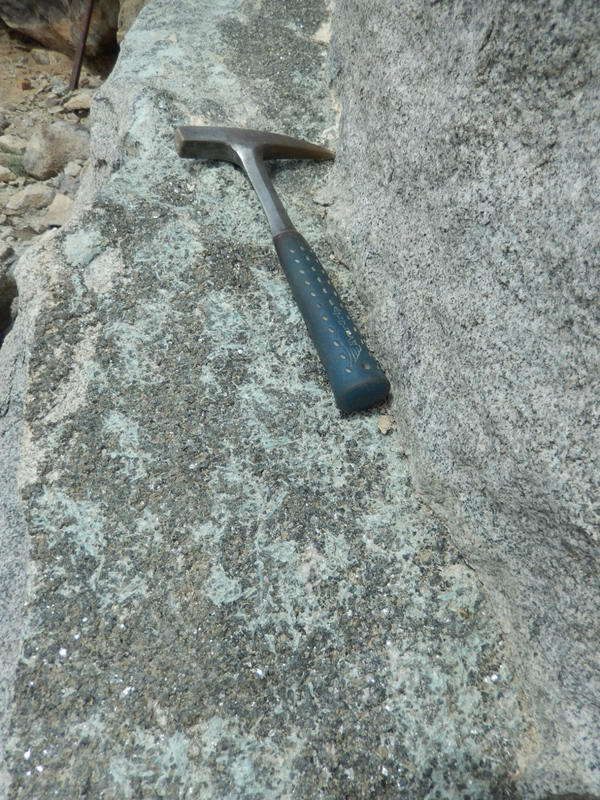 Amazonite is found as a primary mineral (one that actually comprises the host rock) in the granitoids of Haystack Knob (also known as Kern Knob). This mineral is rare, though, as it only seems to occur in small isolated pockets that may be associated with massive quartz and/or mafic enclaves (more biotite-rich portions of the rock). The second set of coordinates above gives the location for the only decent pocket we could find. Unforuntately, this spot has been pretty well picked over by other collectors. A more diligent search of the area may turn up more such pockets that are not as cleaned out. The roads to these two locations are all quite good. 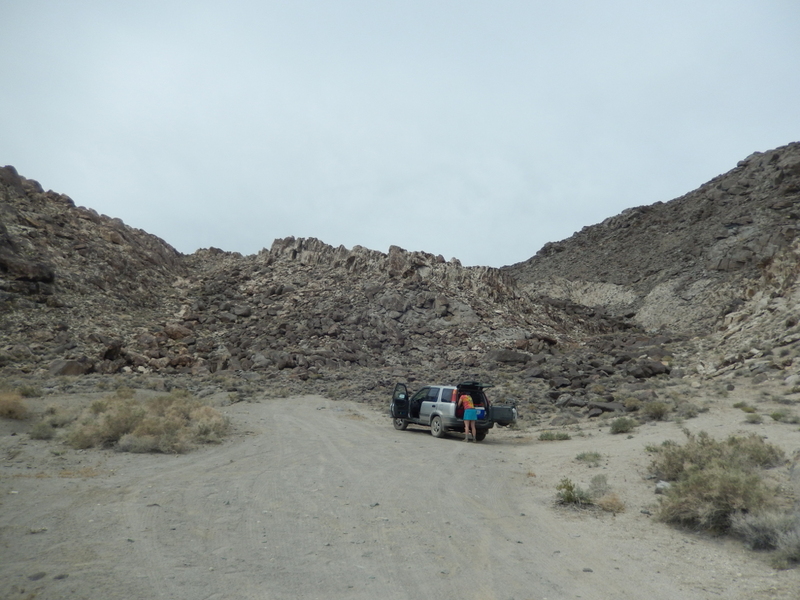 The Lone Pine Narrow Gauge Road and the Owenyo Lone Pine Road are both excellent gravel roads. The spur roads to get to these two sets of coordinates are in good condition, although in places they are a little rocky and/or sandy. Alternatively, the walk to this locality from the Owenyo-Lone Pine Road would be about a mile and a half. A Needle in the Haystack, Walt Margerum, Bulletin of the Mineralogical Society of Southern California, Vol. 74, No. 7, July 2004 (p. 8-11).